I do believe that this is the best issue we have published to date. We have two new sections. 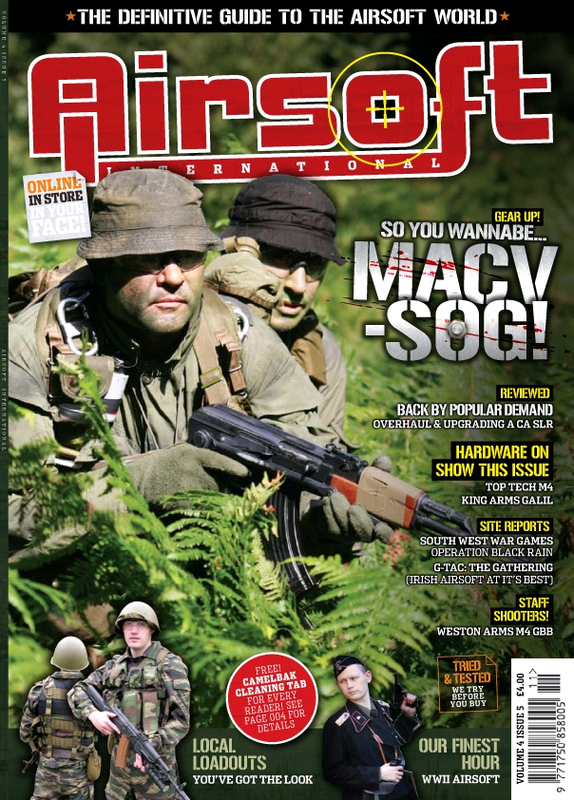 Gallery: Is yet another way along with our extremely popular Local Load out section for players to get involved with their favourite Airsoft Magazine? Shop check: Is for all of you retailers out there. If you’ve got something to say about your business then Ai is the place to say it. 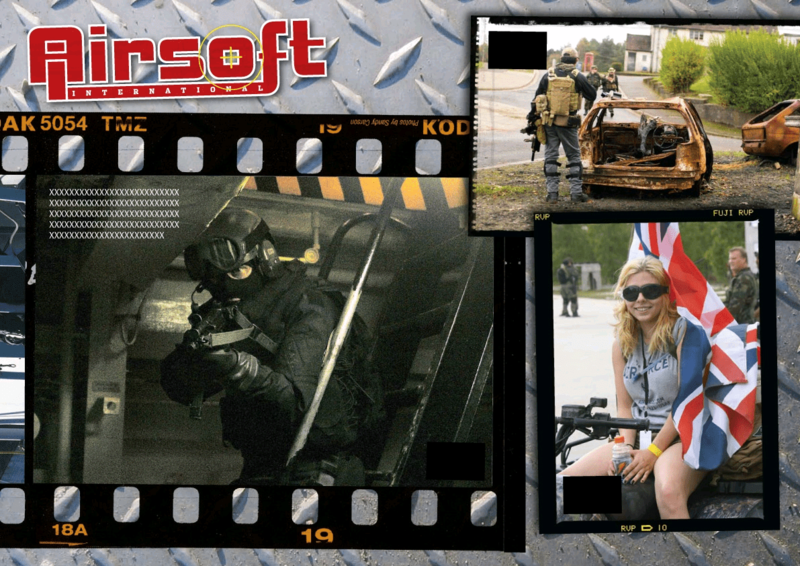 Our photography has improved and we’ve reached new production levels with this issue that no other Airsoft magazine can reach. Please contact me with and questions and pricing. 4 models available now. More models coming! Real Voltage, Amp, and C value. Designed for AEG. Not rebrand RC batteries. BBs from the sky: Get to the choppaaa! Wind Toys & Hobby has finally released the Falcom: a radio controlled helicopter that fires BB Balls. The Falcon is Co-Axial so it’s really easy to control and can flight 8 minutes before you got to recharge the batteries. I tested the prototype during the Nuremberg Toy Fair and it’s really fun!! Brand new at www.airsoftgi.com is the much anticipated Tokyo Marui AK-74SU. This thing is incredible. The metal body and blowback action on it is a huge step up from the flimsy/plastic Tokyo Marui we’re used to seeing. The hand guard is plastic imitation wood but you wouldn’t know it unless you looked really close. All of these extra features are in addition to the performance and reliability that makes Tokyo Marui #1. And don’t think we’ve forgotten about you long range players out there. Just in, straight from Japan, is the Maruzen APS SR-2 and the Tanaka L96. These are the guns that the Chinese clones are built off of, and if you’ve seen the Jurassic Park trilogy then you know that nothing is ever as good as the original. Be sure to check out these great new addition and more at www.airsoftgi.com. Wapak, Ohio, Sep. 29 – Piper’s Precision Products announced today that they have entered into an exclusive agreement with Classic Army to produce Piper’s innovative Airsoft M134 Minigun. Piper’s has granted Classic Army the exclusive rights to manufacture and distribute worldwide the Airsoft M134 Minigun using Piper’s design. The Piper’s Airsoft M134 Minigun will be offered in two complete packages, the backpack “Predator” version and the vehicle mounted “Blackhawk” version. Piper’s Precision Products is the globally acknowledged innovator and leader in rotary, multi-barreled BB guns. Piper’s products are highly sought after by collectors, their functional reliability, and sheer enjoyment value. The Airsoft M134 Minigun is the culmination of years of research and is the finest BB minigun ever made. Using a combination of rechargeable battery power and bottled CO2, the Airsoft M134 Minigun is capable of rates of fire exceeding 70 rounds per second at velocities of up to 450 feet per second using 6 mm 0.2 gram plastic BBs. Almost every component of the Airsoft M134 Minigun is precision machined and designed to perform flawlessly under the toughest conditions. Paul Piper, the owner of Piper’s Precision Products, owns the utility patent for any rotary, multi-barreled BB gun. Paul has designed and produced numerous types of multi-barreled BB guns, and acknowledges that the Airsoft M134 Minigun is his finest work to date. Piper’s is also the designer and manufacturer of the Strafer Mk IV, a law enforcement non-lethal application BB gun. 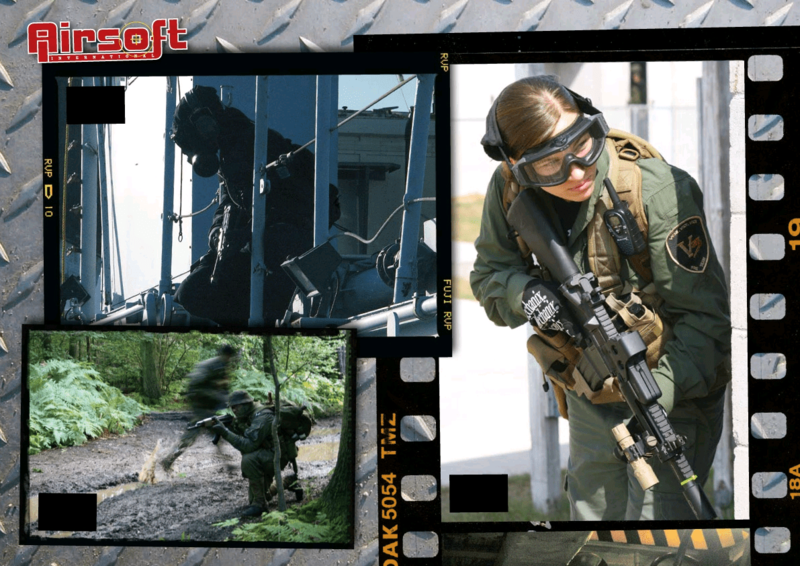 Classic Army is global brand leader in premium Airsoft guns. 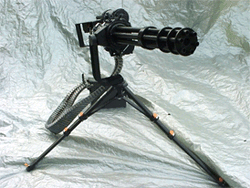 Paul Piper selected Classic Army to produce his minigun design due to Classic Army’s acknowledged reputation as a quality manufacturer and global distributor of high end Airsoft products. The first production Airsoft M134 Miniguns are expected to be released in the first half of 2009. 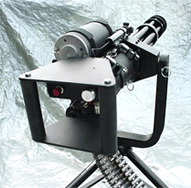 Spartan Imports will be the exclusive distributor of the Piper’s Airsoft M134 Minigun in the United States. Hi,we are RA-TECH from Taiwan. Our new product “dream hammer”for WA M4. The steel hammer with 5 bearings. Can increase the rate of fire,and reduce the gas consumption. If got any interest in our productions. Please contact to us. As the title says, welcome to the first official monthly TA Events Newsletter. The aim of the newsletter is to provide you with the latest dates and details about up and coming games by TA Events, from Open Warfare skirmish level games through to the international events such as Phoenix Rising. In case you are not aware already, the bid for Copehill Down Village was lost due to British Army training needs. This was always a risk with a village such as CDV and is the reason why I did not want to open the bookings until everything had been approved. At Lord of War we are dedicated to reliability and quality. That is why we exclusively stock VFC and Tokyo Marui products and can source most Airsoft products of all brands from a large range of UK and Hong Kong suppliers within a week. Service is important to us so if there are any products you require not currently in stock we can easily get them for you. Where there’s a will there’s a weapon. Please contact shop@lordofwar.uk.com for more information. Orders are despatched as quickly as possible but may take up to ten days on certain items. True story: A couple months ago when we the first run of MagPul metal bodies began to hit the shelves the head technician got the idea to build a custom gun out of the different parts. And thus the Airsoft GI MagPul Experiment M4 was born. As the final screws were placed and the pictures taken for the website the tech placed his new creation in the custom gun case. As he was walking away someone walked in the door, looked around for a bit, saw the MagPul Experiment and said he would take it without any further questions. The gun was tested and sold literally within 3 minutes of it’s construction. It had sold before our creator had even had the chance to fire it, it holds the record here for the fastest sale on a custom gun. That was both very gratifying and sad at the same time. Of course we were happy the gun sold, it’s what we do, if we stopped doing that I’d be out of a job. However we too like to admire the guns that we build but cannot afford to buy for ourselves. In an attempt to fill the void created that day we have built another MagPul custom AEG, take a look, it may not be here for long.